At a time when online platforms are overtaking global marketplaces of every type, the economics of these models—and their profitability--are getting closer scrutiny. Businesses want strategies to optimize value for themselves and their stakeholders in a dynamic and rapidly changing environment. 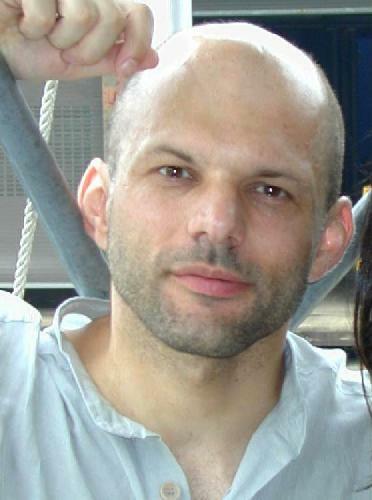 Yannis Bakos, Associate Professor of Management at NYU's Stern School of Business and MIT IDE Reserach Affiliate, (in photo above), has pioneered research on how internet-based electronic marketplaces affect search costs, pricing and competition, including research with MIT IDE Director, Erik Brynjolfsson. Late last year, Bakos spoke at the IDE about subsidizing platform adoption to spur profits. His seminar, "Think Twice Before Subsidizing Platform Adoption: When Both Sides Multihome or When Tokens are an Option," was based on research conducted with Hanna Halaburda of NYU and the Bank of Canada. Their results show that subsidies may not be optimal when both sides of a platform experience some multihoming, especially when users receive no incremental value from meeting more than once on different platforms. Multihoming occurs when users sign on with more than one platform in a two-sided market—say, Uber and Lyft. Typically, higher multihoming costs discourage user willingness to maintain affiliation with competing networks providing similar services. However, optimal pricing for a platform on one side depends on the prices of the other platform when consumers use multiple services. That model is very different from a single-homing scenario. Bakos also discussed another research paper with Halaburda on The Role of Cryptographic Tokens and ICOs in Fostering Platform Adoption. Given that platform-specific digital tokens are becoming increasingly common with the explosion of initial coin offerings (ICOs), Bakos asks whether they might be an alternative to platform subsidies. For instance, he said, tokens can help address the coordination problem that is common in network adoption. The paper concludes that if the platform is not facing capital constraints, the most profitable strategy is the traditional approach to subsidize adoption. If the platform is capital-constrained, however, then token issuance provides an alternative that is increasingly attractive as the platform's cost of capital increases. Watch for a list of upcoming MIT IDE seminar here.